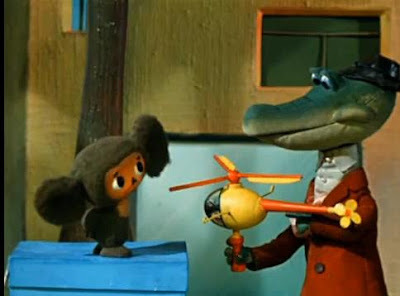 We continue publishing old Russian cartoons for kids with English subtitles about Cheburashka and Crocodile Gena. We just watched the first part: Crocodile Gena what was made in 1969. Today we are watching a Russian cartoon Cheburashka what was made in 1971 by the same company Soyuzmultfilm, the same director Roman Kachanov and screenplay by Eduard Uspensky and Roman Kachanov. This entry was posted in Cartoons on August 10, 2009 by admin. Hey this was really fun! This was duplicated to Arabic and was my favorite. Still can’t find the Arabic version.